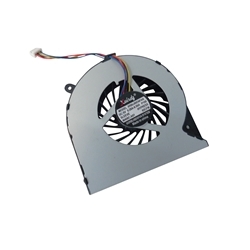 Description: New Toshiba laptop 4 pin cpu cooling fan. **There is also a 3-pin version of this fan that is compatible with some of the models listed below. Please check the pictures carefully to be sure you are ordering the correct fan for your laptop.